Photo: Steve Holland..Australia v England. Rugby World Cup Final, at the Telstra Stadium, Sydney. RWC 2003. 22/11/2003. 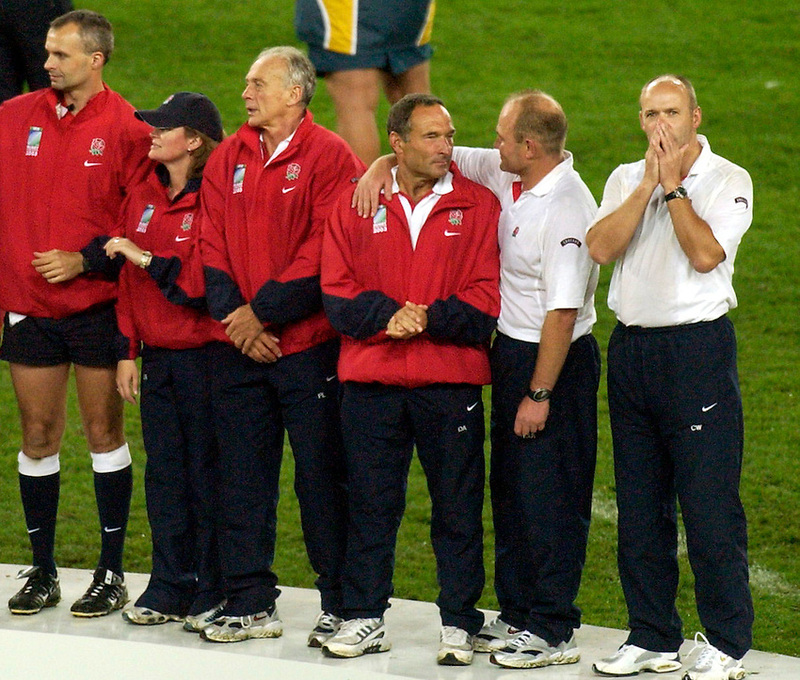 .The England management await their winners medals with Clive Woodward looking in disbelief.